How Much Should Fabric Cost For Your Clothing Line? Previously we talked about choosing fabric sourcing vendors and the pros and cons of each. Now, it is time to get into the numbers. Your fabric cost will depend on your fabric price points and profit margins. This may not be the most fun part of fabric sourcing, but it is one of the most important. For more on how to pick fabrics without being ripped off, read our blog post on on fabric sourcing the right way. How Much Should Fabric Cost? It Depends on Three Factors. In the beginning, it is okay to go out and peruse all the fabric options available in order to get your creative juices flowing. Look at them, touch them, observe how they move. It is all a part of the creative process. 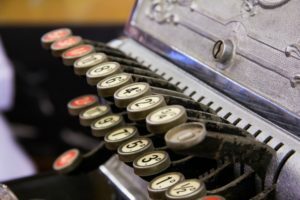 However, once you have established the number of pieces in your collection and your desired price point, it is time to create a fabric budget. Knowing the exact amount you can afford to spend will allow you to go to your vendors and say this is what I want and this is the price I will pay. When determining your development costs, the key is to work backward. Start with how much you are intending to sell the product for. For the sake of this example, let’s say you have designed a pair of pants that you are going to sell for $100. Now, how much do you want to spend on manufacturing costs in total? What do you want your profit margin to be? If you are selling the pants for $100 and want to turn a $65 profit on each, then you would want to budget $35 for manufacturing costs. This cost includes everything: fabric cost, labor cost, packaging, etc. The next step is to factor in your labor costs. To find this number, speak with your manufacturer and get an estimate for all the cutting, trimming, packaging, etc needed for your item. In this example, we will say that your manufacturer has estimated that each pair of pants will need $26 in labor. Right now in our example, you are looking at a budget of about $8 for materials, right? But that isn’t your only fabric cost. 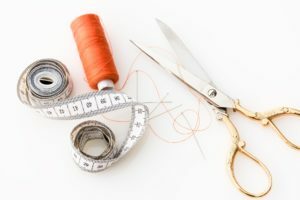 Now is the time to talk to your trim vendor and come up with the cost of buttons, elastic, zippers, or anything else besides the fabric that you need. In this case, your trim vendor says it will take $3 per piece to cover fastenings. You are now left with $5. The final step in finding your fabric cost is to find your fabric yield. How many garments can you get from a yard of fabric? This number your sample maker will be able to give you. Take that yield and multiply it by the fabric price. For example, if your fabric maker says the yield is .5 multiply that by $5 and you will come up with $2.50. So your fabric budget for each pair of pants is $2.50. If your yield is lower than one, you can reasonably increase your fabric price a little. Not too bad, right? Now that you have a solid grasp on your budget you are ready to start talking to vendors and finding the perfect fabric for your line. What Fabric Sourcing Vendors Are Out There & How Do I Choose?